– Since we seen Team Raw get along badly yesterday, this was about where Team SmackDown Live stood. 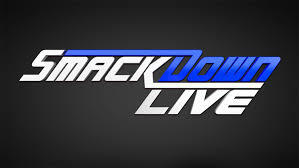 In another edition of a Glasgow, Scotland WWE show, the opening in-ring segment with WWE World Heavyweight Champion AJ Styles, Baron Corbin, Randy Orton, Bray Wyatt, Luke Harper, Dean Ambrose, James Ellsworth and SmackDown Live Commissioner Shane McMahon was fine as the show start. We also might add that the addition of Tom Phillips to commentary to make it a four-man booth is simply overkill. Styles assuming he was team captain fit his personality. Corbin not wanting to be involved fit his “Lone Wolf” character. The Wyatts coming down for blood also fit them. Ambrose/Ellsworth served their purpose as the only babyfaces involved until Shane came down and booked a Six-Man Tag between Ambrose/Corbin/Ellsworth and Wyatt/Orton/Harper to “get some issues out of the way.” It was the same “gotta get on the same page” angle we seen with Team Raw. That said, the idea of Ellsworth as the “mascot” should be fun, especially with Styles’ forever disapproval. – The backstage segment with Shane and Corbin was a good follow-up as we saw Corbin refuse to partake in the Six-Man Tag and suggested that Team SD needed him more than he needed them. Shane subsequently booked Corbin against the returning Kalisto, whom he had history with. – The Survivor Series Tag Team Qualification match between Breezango and The Vaudevillains didn’t feel important from the moment it was announced and kept that way until the finish. With what we assumed were two heel teams, Breezango came out with kilts and acted as the “Fashion Police” and handed out fake offenses to select fans. Not exactly babyface behavior. It was quick, as VV tried to end it fast, but ended up getting caught in the Falcon Arrow to lose. Not sure what that was about, but okay. Breezango’s now on Team SD and nobody cares. – The Natalya-Naomi match with Nikki Bella on commentary revolved around the SD Women’s Team as there was some sort of power struggle between Coach Natalya (who now had a whistle) and Bella, who was the team captain. As we expect with anything that involves Bella, Carmella made her way down and it played into the finish. Natalya tried to keep the two apart and it nearly cost her the match by countout before she ended up getting caught in a pin. At least Bella got to lay out Carmella, because it ends up too much the other way around. – The backstage segment with Ellsworth, Ambrose, SmackDown Live General Manager Daniel Bryan and Kane gave us a main event update as we learned that Bryan appointed Kane as Corbin’s replacement. Would’ve been funny had that they played up Bryan/Kane’s past history as Team Hell No, but you can’t get it all. Kane had the line of the night when he told Ellsworth his strategy was to not have him tag in. – The in-ring segment with Corbin and Kalisto was fine, given that Kalisto was out for revenge as Corbin put him on the shelf for two months. This was originally a match, but Corbin assaulted Kalisto before he even finished his entrance. He threw him around effortlessly before he slipped on the ring apron (which looked legit at first) and that led to Kalisto’s portion as he dropkicked Corbin’s injured knee into the steel steps and then hit a frog splash on it in the middle of the ring. Bam, we have ourselves a personal feud. – The backstage segment with Shane and Bryan broke the news that Corbin couldn’t compete at SS due to his injury and needed to be taken off of Team SD and replaced with a substitute. Bryan promised to come up with a solution soon. – The WWE SmackDown Women’s Championship match between Alexa Bliss and Champion Becky Lynch was easily the most hyped SD match in the last two months, as these two were supposed to square off at No Mercy and it didn’t happen. In Lynch’s absence, Bliss did a swell job on the mic and actually stretched this into a worthwhile program. We also had the aspect of Lynch being in her European element, even though she was from Dublin, Ireland and not Scotland. The match had a good story as Lynch first worked over Bliss’ arm before the momentum shifted and the heel methodically targeted Lynch’s left arm. Also liked how commentary played it up like Bliss did her homework on how to avoid the Disarmer. Lynch began to make a comeback but that got derailed. Things seemed to peak at the stiff forearm exchanges that led to some nice near-falls towards the end. We weren’t crazy about the finish where Bliss was caught in the Disarmer and had her foot on the rope before she tapped out and lost by submission. We’ll guess this is how they have a rematch at TLC on Dec. 4. We don’t mind the feud continuing anyway. – The backstage segment with Shane, Bryan, The Miz and Maryse set forth hype for future shows, namely next week’s Raw where Shane/Bryan would appear. Also spoken about was SmackDown 900 where we’d get appearances from Edge and The Undertaker. Another big deal was the new development with Raw where the Cruiserweight Championship would be defended by Champion Brian Kendrick against Kalisto at Survivor Series, which meant that if SD got the belt, the belt and entire Cruiserweight Division would come to SD. Oh, snap. Miz was in it to stake his claim at the WWE Intercontinental Championship belt and Bryan told him if he wanted a chance at the belt, he’d get it against Champion Dolph Ziggler next week. Good to see there were three reasons to check out SD 900. Of course, we have it in our heads that Miz could go on and win and face Sami Zayn at SS. – The Apollo Crews-Curt Hawkins match stemmed back from when Crews prevented Hawkin’s debut three weeks ago. Apparently, their match would actually happen now. Hawkins’ entrance wasn’t televised, so we predicted that perhaps this meant this would be a win to establish Crews. Wrong, wrong, wrong. In the end, Hawkins pulled off an upset victory but it happened so quickly and treated routine that we couldn’t bring ourselves to care. Hell, perhaps Crews gets his win back last week. – The backstage promo from Ziggler was fine since it served hype with his defense against Miz next week and a potential defense against Zayn at SS. The “Paper Boy” line was a bit cutesy, but we’ve seen worse. – The Six-Man Tag main event between Wyatt/Orton/Harper and Kane/Ambrose/Ellsworth with Styles on commentary featured mostly dull action while Styles spoke about how his team had time to find a replacement and he also spoke about some guys on Team Raw he had unfinished business with, namely WWE United States Champion Roman Reigns. Interestingly, there was some tension between Orton and Harper, but we hope they don’t go that route since it’s so early in Orton’s stint with The Wyatt Family. Luckily, the crowd was most into the tease of Ellsworth tagging in and they went crazy when he finally did. Of course, that meant the finish as he attempted to hit No Chin Music on Wyatt and ended up in Sister Abigail to lose his team the match. The post-match angle where Shane came down to save Ambrose from a heel beatdown with Styles included to reveal himself (Bryan included who got a nice pop) as the fifth Team SD member was treated like a big moment. We hope it won’t be too much of “Super Shane” at SS and he won’t be in the match for long. Posted on January 2, 2017, in WWE and tagged AJ Styles, Alexa Bliss, Apollo Crews, Baron Corbin, Becky Lynch, Bray Wyatt, Breezango, Carmella, Curt Hawkins, Daniel Bryan, David Otunga, Dean Ambrose, Dolph Ziggler, James Ellsworth, JBL, Kalisto, Kane, Luke Harper, Maryse, Mauro Ranallo, Naomi, Natalya, Nikki Bella, Randy Orton, Shane McMahon, Survivor Series, The Miz, The Vaudevillains, Tom Phillips. Bookmark the permalink. Leave a comment.